If you visit Porto in the last week of February, be prepared to get wet – drenched even, as the rainy season can be almost tropical in its intensity. Metaphorically, you’ll also get drenched in wine, as the city hosts not just the huge Essencia do Vinho fair, but an ever-increasing range of off-events, lunches, dinners, tastings and producer soirees. For the wine lover or connoisseur, this must be one of the top weeks in the year to be in Porto – producers, critics and traders from across the country, and indeed across the Iberian peninsula are all in town, and you’ll frequently find them holding court at some of the city’s best restaurants and wine bars. In terms of tasting events, top of the list for any adventurous wine lover must be Simplesmente Vinho, an alternative “salon” for those who want to branch out from the more corporate fare on offer at Essencia and discover the full range that Portuguese wine is capable of delivering. I last attended Simplesmente Vinho in 2014 – its second year. At that point it still felt like an insider tip, with 20 or so producers crammed chaotically into a pair of crumbling stone cellars. This year’s edition was a different story – the shabby-chic, alternative feel remained but Simplesmente expanded to a much bigger venue, with more than 60 producers from all over Portugal, and a small clutch from Spain in attendance. By 4pm on the Friday, a sizeable queue of enthusiastic and thirsty wine geeks was already forming. From that point on, the spacious warehouse on Calçada de Monchique hummed with activity, reaching a peak of happy raucousness on the Saturday evening. Calçada de Monchique provided the perfect setting, with commanding views over the Douro and Vila Nova de Gaia as a great wine-themed backdrop. The interior – all exposed brick, edgy art installations and oak barrels for tables – would not be out of place for a cutting edge exhibition in New York’s meat packing district. Organiser João Roseira remains adamant that Simplesmente is primarily about having fun and socialising. Wine tasting is at the core, but everything has an informal, unpretentious feel. Producers can’t hide behind tasting tables, so interaction is encouraged. Both days ended with live music, Jazz on the Friday and R&B on Saturday. I really like this ethic, surely a better way to get people excited about wine than the conventional dry, stuffy tasting format. Simplesmente’s expansion gave a welcome opportunity to sample wines from many of the more obscure corners of Portugal, with producers from the Azores, Colares, Trás-os-montes and Ribeira Sacra all in attendance. The salon doesn’t have strict entry criteria, but focuses overridingly on small, family owned estates, often farming organically and with minimal intervention in the winery. Roseira has imbued Simplesmente with a fierce independence, and that was reflected in characterful wines, and big personalities amongst the winemakers. Amongst those holding court were passionate and multi-lingual Marta Soares (Casal Figueira), impish Filipa Pato and Alentejano genius Miguel Louro (Quinta do Mouro) – all with excellent if sometimes idiosyncratic wines. Provided you could fight your way through the crowds, there were many treats in store. Some of my favourite discoveries included an intense Malvasia grown on sandy soil, from Casal Santa Maria (Colares), a clutch of outstanding Bagas from Quinta das Bageiras (Bairrada) and a convincing skin-contact Arinto from Vale da Capucha (Lisbon). Tasty offerings abounded from wineries up and down the country, with strong showings also from producers in the Douro (Quinta do Sagrado), Dão (António Madeira, Terras de Tavares, Casa de Mouraz) & Vinho Verde (Fascinating amphora fermented wines from Aphros, vibrant Loureiro from Clip). 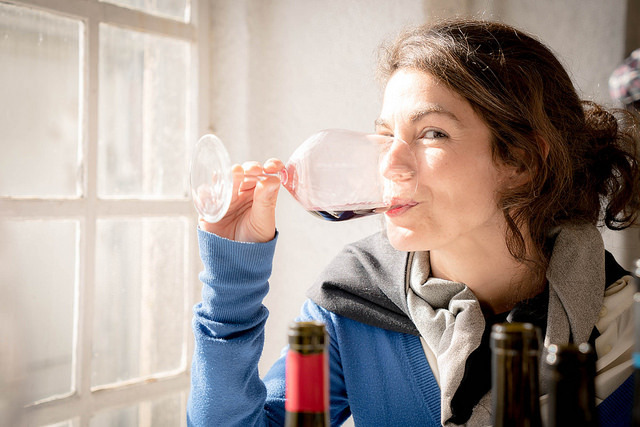 In terms of variety and consistent quality, the event is a wine adventurer’s paradise and something of a must visit if you decide to spend this weekend in Porto. 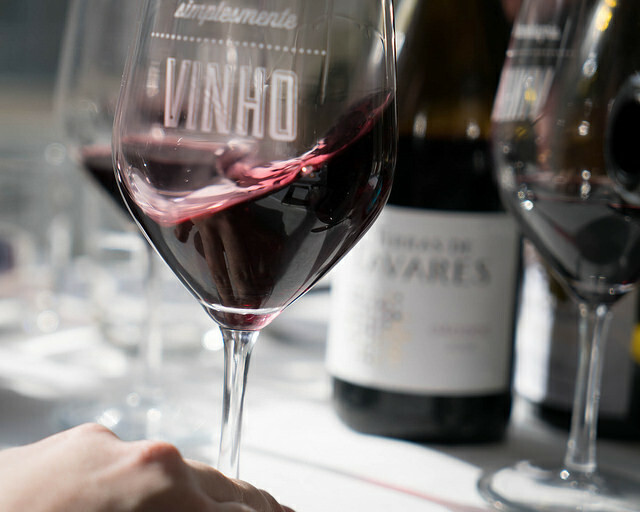 Simplesmente Vinho has blossomed into a vital component of Porto’s biggest wine week. As João might say “it’s simplesmente here to stay” – whatever the weather.